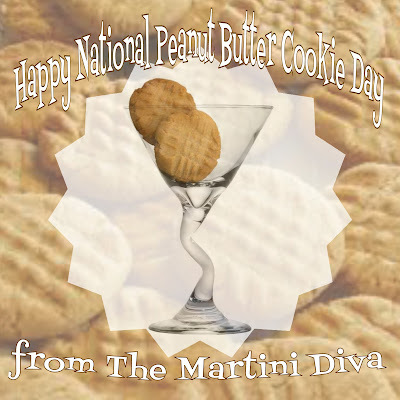 Why eat your peanut butter cookie when you can drink it in a martini glass? The added benefit of drinking your peanut butter cookie? It won't stick to the roof of your mouth! They were simply done in the beginning as an aid to make the cookie bake crisper as well as hold the dough together during baking. 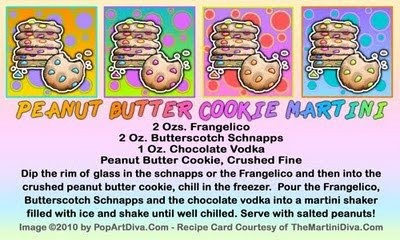 Not that that matters with my Peanut Butter Cookie Martini - unless you're serving it up with peanut butter cookies. Oh go ahead and indulge, not every day is a peanut butter cookie holiday.